At a family history fair a few years ago I bought a book – Epsom College Register, 1855-1905. It was bought in a bit of a rush, while having a break from manning a stall for one of the local family history groups I am a member of. But, and there is always one of those! I glanced at the title, thought it was a good purchase for the price and I could make use of it later, for research and additional information purposes. Idiotic me, I had glanced at the title and read Eton for Epsom, an easy mistake, while reading the title in a dimly lit section of the hall. But never mind, I would still make use of the book………….sometime! Well, it looks like today is that sometime. While having a quick look through the pages of the 105 year old book, 100’s of names and places jumped out. Places in England, France, Canada, North and South America, South Africa, India, Burma, Australia and New Zealand to name a few. A few names and places seemed interesting enough for me to put fingers to keyboard and give you a very small snippet of their lives. Bertram William Francis Wood, born on 19th of August 1887 to Francis H Wood, a General Practitioner, and his wife Maude M B Wood. 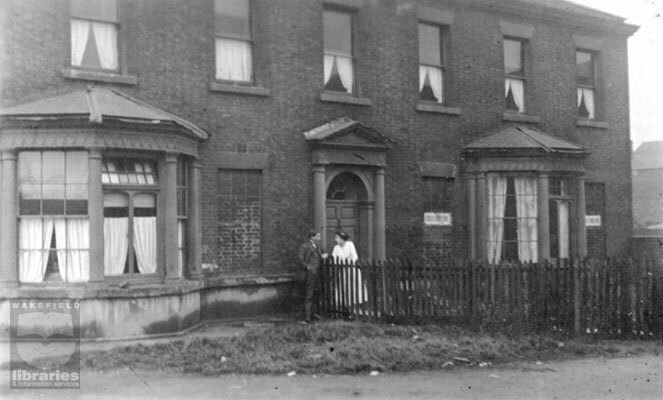 When the census of 1891 came around the family were living at 130 Northgate, Wakefield. Bertram, aged 3 had an elder sister, Margaret aged 11. Ten years later, in 1901, William is a student boarder at Epsom College, with other young men, including John Athelston Braxton Hicks, Canute Denntzer, Cedric Heuchman Harnsey Clubbe, Claude Fitzroy Clarke and Samuel Alwyne Gabb. William left Epsom College in the early years of the 1900’s and by the time of the next census in 1911, by now he was 23 years old and living with his parents who still lived at 130 Northgate, Wakefield. His occupation was given as Medical Student, so he was obviously following in his fathers’ footsteps. William’s entry in the Epsom College Register ‘Wood, Bertram William Francis [F H Wood, Esq., Arundel House, Wakefield] ; b.Aug. 19, 1887, e. Jan., 1. Dec., 1902. W.
Another young man with a Wakefield connection is James Stansfield Longbotham. In the 1881 census, James is with his parents, George Longbotham, aged 35 and his wife Sarah, also 35. George is a General Practitioner of Medicine, living at 1 Grange Road, West, Middlesborough. Twenty years later George and Sarah were living at Woodlands, Putney, where George, now classes his occupation as that of Surgeon, temperarily retired. James is the only child still at home and he is a student at the Pitman Met. College. Longbotham, James Stansfield [George Longbotham, Esq., 1 Grange Road, Middlesborough] ; b. 1878, l 1892. C. Southgate Chambers, Wakefield. The Southgate Chambers, mentioned above was the address of the Official Receivers’ Office. An entry for a William Kemp born in 1862 – who is this young man? The 1871 census finds William and his family in Castleford, his dad has been wrongly transcribed as Elmyra Walker Kemp, where it very clearly says Ebeneze Walker Kemp, born in Wakefield and earning his living as a Surgeon, General Practitioner. It seems by sheer chance I have chosen young men whose families were all in the medical profession. Some 20 years later the family were still at Bridge Foot, Castleford. The whole census page looks a little cluttered, as the people who had their details taken that night were originally entered as initials and surname. Someone at a later date, and I say someone, as the writing differs from the original, has entered the first name of all the entrants. Mr Kemp, is now a Surgeon and J.P., while his son, William, is entered as M.B.C.M. 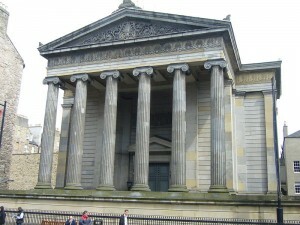 Edinbro’. Ten years on, William is now aged 38 and living a Bridge Foot, Castleford, with his Scottish born wife, Sarah, also aged 38 and their two children, his mother-in-law, Helen Blair, a widow, William Somerset, another man with the same qualifications as William. 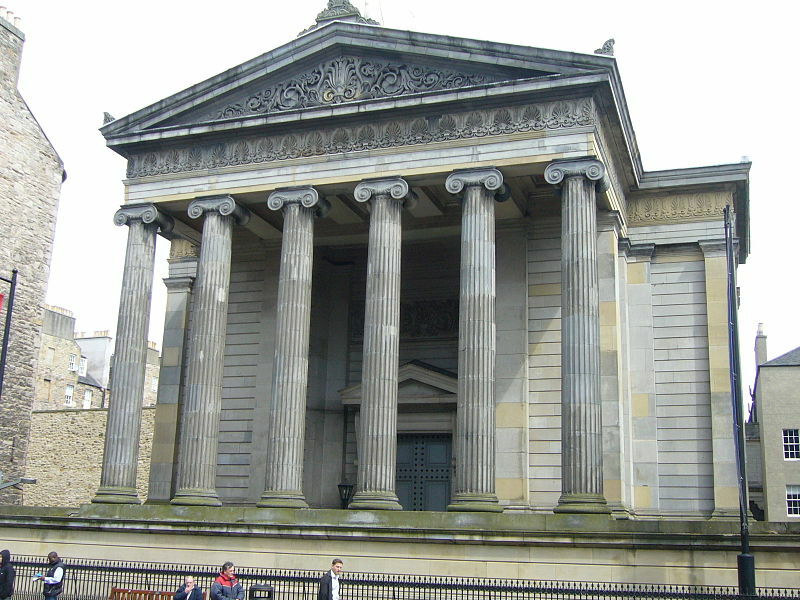 There is also a nephew, Gray L Gibson, Isabel McGreggor (the two latter being born in Scotland) and three servants. Another ten years later, brings 1911 and the first census that gives information about infant mortality. Sarah had given birth to three children in her 16 year marriage to William and all had survived to be included in the census. There are two servants listed, but at the very bottom there is an entry for Helen Blair (William’s mother-in-law) but now she is listed as ‘other relative’. William now vaguely gives his employment as ‘Medical Profession’. he signs the census sheet as W Kemp, Castleford – no address, but probably still at Bridge Foot (a look at the schedule, confirms that Bridge Foot is still his address. 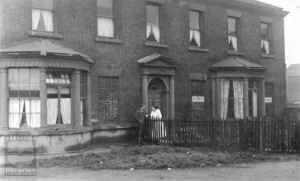 This entry was posted in News and tagged 1911, Altofts, Castleford, census, Epsom College, family, History, memory, Normanton, records, Wakefield, Walker - Wakefield it's history and people, yorkshire on April 5, 2015 by carol. Dunningley, within half-a-mile due east of Topcliffe, is noted as being the birthplace of Christopher Saxton, an eminent cartographer, and also as containing the residence of a sweetheart of Nevison, the highwayman. In Dr. John Dee’s Diary, 1596, appears this entry:- “July 10th, Manchester town described and measured by Mr Christopher Saxton.” Mr. J. E. Bailey, writes of this as follows :- “This Manchester survey which would be a valuable addition to out local topography, is not now known to be in existence. 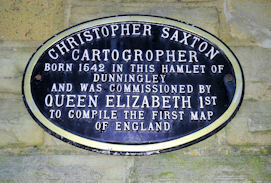 C. Saxton was the author of the first maps of Britain from actual survey. The series of maps was nine years in preparation and was first issued as a complete atlas of maps in 1579. Thoresby remarked that the maps had never been surpassed, scarcely equalled for exactness. Each map contains the arms of the Queen, who gave Saxton a patent for publishing the charts for ten years, and of Thomas Sackford, Master of Requests, who was employment, Saxton was at the date of the patent. Saxton was encouraged by Sir William Cordel, Master of the Rolls. His skill as a chorographer is set forth in his epitaph”. Thoresby says that in all probability he was buried in Batley Church. ** Dunningley at the present time, consists of a few farm-houses, not remarkable for theit antiquity of picturesqueness. ** In Dugdale’s “Visitation of Yorkshire,”1666, “Birkbeck of Sheffield and Castleford” – Christopher Saxton, the geographer, here called Surveyor and Compiler of Maps of England, is said to have been of Dunningley. The Saxton’s were to be found at Mirfield, &c., a century afterwards. Additional Saxton information – Saxton probably born c1540 in the parish of Dewsbury and grew up in the hamlet of Dunningley. He, as a young man, was in the employ of John Rudd the vicar of Dewsbury and Thornhill, a keen cartographer who passed his skills on to Christopher. In 1570 he started a commission from Lord Burghley to survey the whole of England and Wales. He died after 1610 as he is named in the will of his elder brother Thomas and before 1626 when the will of his son, Robert, was proved. Wakefield – Its History and People says that Saxton was educated in one of the chantry schools within the town (Wakefield), before furthering his education at Oxford. Much of Saxton’s work was used for many years and his atlas published in the late 1500’s was continually being re-issued and adapted until the late 1700’s. The issues were : William Hole and William Kip re-engraved Saxton’s maps and reduced them in size for the early 1600’s edition – Saxton being given credit for most of the map work. Later editions followed in 1607, 1610 and 16378. The Atlas – Atlas of the Counties of England & Wales is in the Special Collections Department of Glasgow University Library. Christopher was granted arms and received lands from the crown, both showing how he was respected for his work. His grant of arms refers to him as “Christopher Saxton of Dunningly, gentleman”. But Wakefield has also laid claim to him. This entry was posted in General, News and tagged Christopher Saxton, Dewsbury, Dunningley, maps, Nevison, Oxford, Thomas Sackford, Thoresby, Visitation of Yorkshire, Wakefield, Walker - Wakefield it's history and people, West Ardsley, Willliam Cordel, yorkshire on December 26, 2012 by carol.